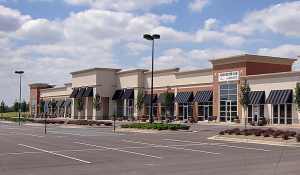 As an investor, you know that the value of your retail shopping center depends on the success of its tenants. When you attain a mix of merchants who complement each other, you form the basis for synergy that can boost individual businesses as well as the center as a whole. Once tenants see themselves as part of a larger retail community, they can begin to work together for the benefit of all and support the financial success of your retail venture. Effective cross promotion with marketing strategies like exciting special events, innovative promotions and other cooperative marketing initiatives can make your retail center more visible in the community and create the foot traffic you are looking for. It makes sense to begin by getting retailers committed to the idea of cooperating to promote the retail center. Successful marketing initiatives require a great deal of coordination and careful consideration of the wide range of products offered by individual tenants at the retail site. The challenge for the coordinator is to invest the time it takes to confer with merchants to understand the products and services they wish to promote. Generating the energy and goodwill you need for effective cross promotion means applying the principles of teambuilding to get your cross promotion projects started. Start by setting clear objectives and allow retailers to voice their ideas so they will be invested in the marketing strategies. By promoting interaction between merchants and keeping the lines of communication open you can develop an energized, focused team that can take advantage of the strengths of the whole retail center community. When retail center tenants are enthusiastic about the prospect of cross promoting to benefit their own business, encourage the success of other merchants and support the success of the shopping center as a whole, a spirit of synergy and collaboration can take hold. The energy and excitement can then transfer to the public, drawing visitors who are attracted by the upbeat vibe of the shopping center. Merchants can add support to upcoming retail center events by spreading the word to their customers and implementing their own promotions, flyers and posters. Retail centers use cross promotion because they know that a combined effort results in the whole being greater than the sum of its parts. In other words, a marketing initiative that involves the entire retail center will have a stronger effect than if the individual retailers had launched a promotion on their own. Here are ideas for strategies that can create synergy in your retail center. For more promotional initiatives, ask your property manager for marketing ideas that will promote the financial success of your retail center investment. Holidays: We’ve all seen Santa at the mall, but how about thinking out of the box with some innovative ideas as well as the tried and true. In addition to Mother’s Day with gift baskets containing items from retail center merchants, think about staging a hot dog eating contest to celebrate National Hot Dog Day or a professional family photo shoot to celebrate Grandparent’s Day. Scavenger Hunt: Implementing a scavenger hunt can introduce shoppers to stores they may not have noticed previously. It is not necessary to have shoppers make a purchase in order to participate. Shoppers can answer questions like, “What color are the shoes in the display at Darby’s?” The first groups in with all the answers win a prize –an item at the retail center, of course. Contests: Contests and sweepstakes are a wonderful way to build a customer database. Ask participants register with their email address for a chance to win a prize, and use the email information in subsequent marketing efforts. You might have shoppers text what they like best about your shopping center (excellent marketing research!) or ask them to take a “selfie” in front of your retail center logo sign. Dance contests are always a big draw. Concerts: Contract with a singer or band to stage a concert for shoppers. Local talent is often more than willing to get exposure by performing for a reasonable fee. Concerts may be announced ahead of time, or unannounced to capitalize on the surprise factor that can make your retail center known for unexpected fun events. Special Events: Tailor special events to fit the demographics of your community. In a young area, try a baby parade with a new outfit for baby as the prize. A pet parade of costumed furry friends around Halloween can draw crowds. If your retail center has multiple clothing stores, invite shoppers to a fashion show highlighting the latest merchandise. Family fun days, a summer music series, car displays and farmer’s markets are perennial favorites.